A large factor in our final decision was the history that we found out about the site and the surrounding area. It was fantastic to find out how the plot had been developed over the past three centuries and we even found some exciting family links to the area. The Smarts Quarter development has become really special to our team through discovering all its history which is why we wanted to share it. Our development of luxury apartments will be coming along way from what originally existed on the plot. In the early 18th Century the area only consisted of barley fields, orchards and pastureland. 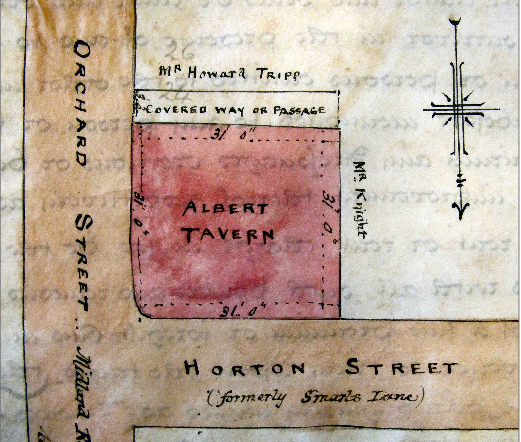 Looking at early maps of the area from 1742 we found that the site was developed into market gardens, adding fruit and vegetables to the range of produce grown in the area. Whilst the area is no longer used specifically for market gardens, you can certainly find plenty of fruit and veg markets serving locally sourced food all over Bristol. Development of the site continued over the forthcoming years and our research shows that by at least 1842 the area was the site of a public house called the Albert Tavern. Then 5 years later Charles Coleman took ownership of the site and it became listed as a private house and yard. Even though the Albert Tavern no longer exists there are still plenty of fantastic places that the owners of our new homes could make their local. You can check out our local facilities page to find out what is in the local area around Smarts Quarter. It wasn’t just what occupied the site that took our interest. 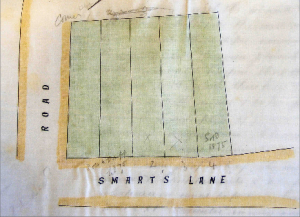 The actual road names also changed over the years; the plot was originally located on the corner of Smarts Lane and Orchard Street, but over time this changed and now our new development sits on the corner of Horton Street and Midland Road. We’ve not just been digging into the history of the site; our team of archaeologists literally did dig deep and found the remnants of 6 rooms whilst excavating the foundations for the development. These turned out to be basements of the original properties and within what was left they found fireplaces, evidence of brick floors and the occasional brick bonded with lime mortar. The naming of a new site is an important step when developing new homes; something dull and forgettable certainly won’t help to grab the attention of perspective home owners. So when it came to naming the site we looked at all of the information about the history of the plot to help us decide. We had at our disposal three centuries of history so a wide range of possibilities. We whittled it down to three choices; to link the site to either Midland Road, Horton Street or Smarts Lane. 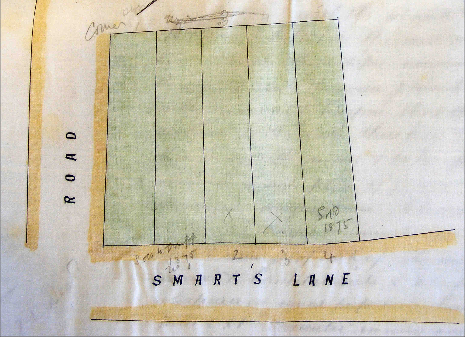 After further consideration we decided that anything to do with Midland didn’t sound particularly Bristolian; Horton Corner just didn’t have the ring to it we were looking for, which left us playing around with different variations around Smarts Lane. In the end in keeping with other Bristol areas we selected Smarts Quarter. In selecting an inspiring and memorable name for our first development of new homes in Bristol we have tried to link back to the history of the site and brought a little piece of it into the present day. So what do you think future residents of Smarts Quarter, did we make the smart choice? Having introduced you to some of the history of the site, we would like to introduce you to Henry Dennis Denman, who attended Hannah More School in the early 1900’s which is located only a couple minutes’ walk from Smarts Quarter. But you may be asking yourself what makes Henry Denman so special and what role did he play in us choosing the plot? Well to our very own Sue Blatchford, Director of Green Spinnaker, he is known as Grandpa Denman. We said that we found some unexpected and exciting family links to the area and it comes in the form of one of Sue’s grandparents attending the local school. Not only did Grandpa Denman attend the local school but he also has a rich history of his own with great recognition for fighting for our country in the early 1900’s. He was awarded with a Distinguished Conduct Medal in Gallipoli in 1915 and then the Military Cross as a Lieutenant in France when he was one of only three offices remaining in the Battle of Inverness Copse on 24th August 1917. This unexpected twist in the history of the site was a bonus. We truly loved that we were able to purchase a plot for our first development which has links back to a family member. It was like a little sign saying yes this is the right place to build our new apartments and maisonettes. So now you know why we chose this site. Our next post will showcase our future plans for the site and also talk about some of the exciting plans the area has for the future. If you want to find out more about why you should choose one of our luxury apartments or maisonettes within the Smarts Quarter development then check out our plans here. Alternatively, contact us on 0333 358 3558 and we can answer any questions you might have about Green Spinnaker or Smarts Quarter, and you can register you interest in one of our new homes. This entry was posted in development, Smarts Quarter on October 29, 2014 by Jess Lawrence.